Sanctuary is giving fans another taste of its next album. The band has unveiled the lyric video for its song ‘Dream of the Incubus.’ The song comes from the band’s upcoming compilation record Inception, which will be released in stores and online on Friday, February 4 via Century Media Records. The video presents Sanctuary performing its song in a live performance from 1986 complete with lyrics. The video’s recording quality will take audiences who grew up in the 80s back in time all while the song entertains them at the same time. Audiences can see the video online now here. Guitarist Lenny Rutledge said he was happy to see ‘Dream of the Incubus’ finally get a proper release because the song is a rare work from the band. He added the performance used for the lyric video was just as rare because of how few times the band ever performed the song live. Seasons for Change has unveiled the video for its latest single. The video features the band performing its song against a background wall covered in lights. Its cinematography features various angles of the band throughout the course of its nearly four-minute run time. Audiences can see the video online now here. ESPN’s College GameDay Covered by State Farm will air live from Gainesville, Fla next Saturday. 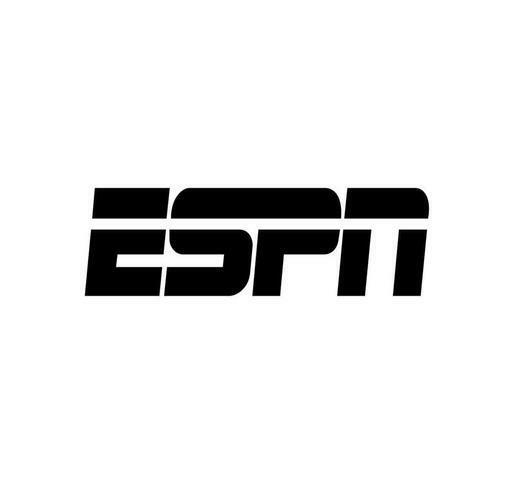 The program will air live at 11 a.m. on ESPN from the site of the Saturday Primetime presented by AT&T matchup pitting No. 4 Kentucky against No. 25 Florida. Game coverage begins at 8:15 p.m. EST on ESPN. Saturday night’s Top 25 showdown will be preceded by a late edition of College GameDay Covered by State Farm at 8 p.m. EST. Rece Davis will anchor the broadcast and will be joined at the desk by analysts Jay Bilas, Seth Greenberg and Jay Williams. Bilas will be part of the broadcast team for the Wildcats/Gators game. He will join Dan Shulman and reporter Maria Taylor for the call of the game. Veteran Canadian thrash outfit Annihilator has released a new hits collection of sorts to the masses. The band released its new compilation Triple Threat on Friday. The three-disc collection is in separate DVD/2CD combo pack, Blu-ray/2CD and standalone 2CD set via UDR Music. The collection features re-worked versions of many of the band’s hits in three very different settings. The first setting is an acoustic setting featuring 10 of the band’s hits in a stripped down presentation. The set’s second disc presents 11 more of the band’s songs in a full-on live setting from the band’s performance at the 2016 Bang Your Head Festival. The third disc is a visual presentation of the acoustic and live presentations on the set’s first two discs. The third disc also includes a 45-minute documentary and bonus discussions from front man Jeff Waters. Waters discusses the set’s acoustic renderings in one of the bonus segments. He also answers fan questions in another of the bonus segments. Triple Threat’s track listing is noted below. Waters discussed how the band’s new collection came to life in a recent interview. He said working the songs into acoustic renditions was especially exciting for him. “This was one of the coolest things I have done in my long career,” Waters said. Having five people in a room, from all different backgrounds and talents, coming together to play songs from the past, and to try to sound like we are one but totally live and with feeling. This was one of the biggest challenges that ANNIHILATOR has faced, musically, but what impressed me the most was how you can hear all the individual styles each player has and how we were able to glue the playing and feel together. Done all in one take and with all the musical blemishes and imperfections that I would never normally let slide! He added working specific songs made the recording experience truly special. 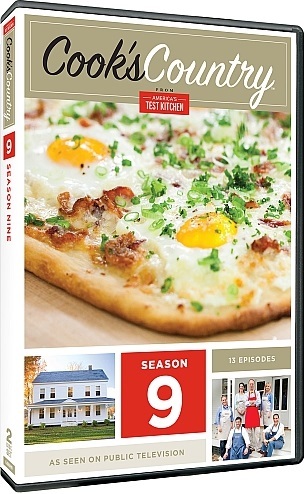 This past November, Public Media Distribution released the ninth season of PBS’ hit cooking series Cook’s Country on a two-disc DVD set. Much like every season before, the series’ ninth season is loaded with lots of tasty dishes for every night of the week and for every season that cooks of every level can make. That is the most important piece of the program’s presentation. While the dishes featured in this season of Cook’s Country do plenty to make it an enjoyable watch, it does suffer from at least one negative, that being one of its listed episodes is in fact missing from its presentation. This is, again, despite being listed on the box. It must be addressed. Even as much as a problem as that one missing episode poses to Season 9’s overall presentation, it is the season’s only downside in its recently released DVD set. On the positive side audiences once again get to print out the recipe for every dish displayed in this season. That includes the chocolate truffles despite the episode missing from the set. Cook’s Country Season 9 clearly isn’t perfect. Even with its one clear con, this season of Cook’s Country is still another enjoyable course in the bigger meal that is Cook’s Country. It will leave audiences hungry for many more courses to come. Cook’s Country Season 9 is not a perfect installment of the long-running hit PBS culinary series. Even despite being another perfectly appetizing offering from the long-running series, it is still another enjoyable course in the bigger meal that is Cook’s Country. That is due in no small part to the dishes that are presented over the course of the season. The dishes that are featured throughout this season are culinary delights that cooks of any level can make. Grilled Sugar Steak, Husk Grilled Corn and Breakfast Pizza are items that any everyday cook can make any day or night of the week. More “seasoned” chefs will enjoy cooking up Prime Rib and Potatoes with Red Wine-Orange Sauce, French Coconut Pie and Cedar-Planed Salmon with Cucumber-Yogurt Sauce. That the series would once again offer audiences such a broad swath of recipes is nothing new this season. To that end, it is its own positive. It is just one part of what makes this season’s offerings so important. Just as important to note of the featured recipes is their broad cultural reach and their seasonal reach. From Italian (Zeppoles, Pasta with Mushroom Sauce) to Latin (Chicken Chilaquiles) to Cajun (New Orleans Muffulettas) to Southern cuisine (Tennessee Pulled Pork) and beyond, this season offers tastes from a number of cultural sources, and some educational content that will keep viewers just as easily keep audiences engaged. Add in the fact that these recipes are not specific to just spring, summer, fall or winter and audiences see even more why the dishes featured this season are so important to the season’s overall presentation. When this information is set alongside the fact that the dishes can be made for cooks of every level, it shows with full clarity why the dishes are themselves so important to the overall presentation of Cook’s Country Season 9. The dishes that make up the body of Cook’s Country Season 9 form the foundation of the season’s presentation. They are so important because they will appeal to cooks of all abilities. They also once again represent a broad swath of cultural backgrounds and are perfect for every season. While the dishes featured in this season prove to be so integral to the season’s presentation, they do present at least one problem. That problem lays in the fact that at least one episode is oddly missing from this season. The episode in question is that of the Chocolate Truffles. The episode, included in the set’s “Sweet Indulgences” segment is noted in the set’s episode listing. However, in watching Season 9, audiences will find that this segment is missing from the episode selection. The segment’s Milk Chocolate Cheesecake and Swiss Hazelnut Cake segments are both there. But the Chocolate Truffles segment is missing. Whether that was just an error on the part of PBS and Public Media Distribution or something totally intentional is anyone’s guess. One must hope the omission of even one episode was unintentional. It seems trivial to even make note of the omission, true. But if a certain number of episodes is listed, one is going to expect to see every episode. To that end, even that one omission takes away from the overall viewing experience in this season. It’s not enough to completely negate the season’s positives, but it is still a con that must be noted, regardless. The omission of the Chocolate Truffles episode in this season is a con that cannot be ignored. That is because while it doesn’t ruin the season’s overall presentation, it does still detract from the season’s presentation. Noting again that it doesn’t totally ruin the season’s presentation, that means there is still at least one more positive to note in examining the season’s presentation. That positive is the availability of the season’s dishes for print. Once again, Public Media Distribution and PBS have made it easy for audiences to print out the recipes for every single dish featured this time out. Even though the Chocolate Truffles episode is strangely absent from the viewing experience, it is still there for print. That means audiences can add to their own cookbooks even more delectable dishes from one of television’s culinary series. It means being able to make any or all of the dishes at one’s own time, (hopefully) stress-free. It rounds out the season’s most important elements. When it is set alongside the season’s wide-reaching recipes, both elements more than make up for the season’s one single con. They make Cook’s Country Season 9 yet another enjoyable course in the bigger meal that is Cook’s Country that will leave audiences hungry for many more seasons of the series. Chickenfoot will release its first-ever hits collection this spring. The rock super group announced this week it will release its new hits collection Best + Live on March 10, 2017. The compilation includes ‘Get It Up,’ ‘Soap On A Rope,’ ‘Dubai Blues’ and eight other Chickenfoot favorites. It also includes a “new” song, ‘Divine Termination,’ which the band performed live last May. The song was performed during a performance at Harrah’s Lake Tahoe. The performance was from one of two one-off shows performed at the famed casino. The band’s hits and its new songs are just some of what audiences have to look forward to on Chickenfoot’s new compilation record. It will also feature three live performances included in that main disc. 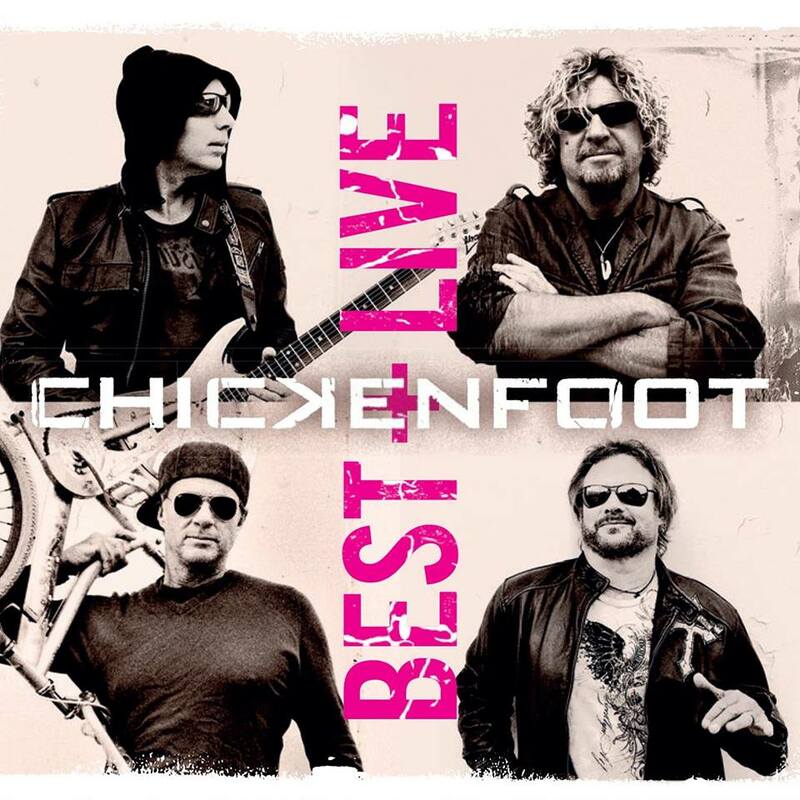 To sweeten the deal for fans, the collection will also include a second disc that features 11 live performances from Chickenfoot. The songs featured on the bonus live disc were originally included in the band’s 2010 Live DVD/BD Get Your Buzz On. The full track listing for Best + Live is noted below. 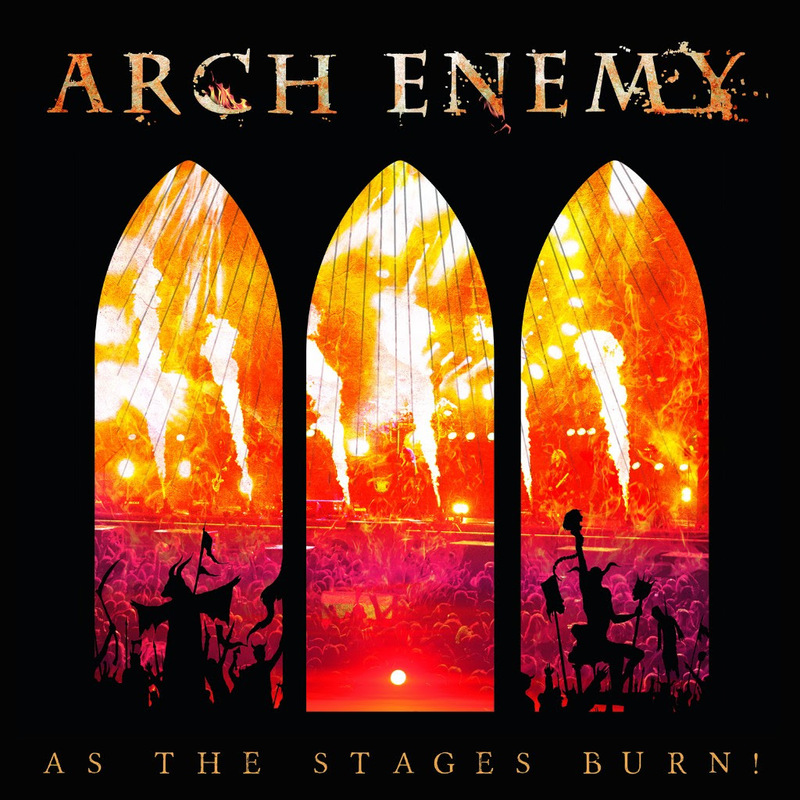 Arch Enemy debuted this week a new live video in anticipation of its upcoming live recording As The Stages Burn, which will be released aroudn the world on Friday, March 31 via Century Media Records. The band released the video for its performance of ‘War Eternal,’ which was recorded at its performance at the Wacken 2016 Open Air Festival. The blistering performance captures the energy that makes the band just as much a fan favorite live as in the studio. That is thanks to the expert work of those behind the cameras and the sound board, and those who handled the recording’s post production. Audiences can check out the video online now here. The band’s performance of ‘War Eternal’ is just one of a number of other songs included in the band’s set from the 2016 Wacken Open Air Festival. The concert also includes performances of ‘Nemesis,’ ‘You Will Know My Name,’ ‘We Will Rise’ and a number of other songs. The recording also includes extensive bonus material to enhance fans’ viewing experience. That bonus material includes music videos, bonus live performances from the band’s 2015 Tokyo performance, and extra behind the scenes material. The recording will be available as a Limited Edition Deluxe CD/DVD/BD box set in the European Union. It will be available as a Limited Edition CD/DVD combo pack, gatefold 2 LP/DVD combo pack and on digital platforms everywhere else. Fans can pre-order the CD/DVD combo and 2 LP/DVD combo pack now here. Anyone who pre-orders the recording via iTunes and Amazon now will receive ‘War Eternal’ immediately. Arch Enemy will tour live in Europe in support of As The Stages Burn this spring. The band will be Bochum, Germany on March 30. The band will join The Haunted and Lacuna Coil on its upcoming spring European tour. The tour runs through April 9 in Ludwigsburg, Germany. The band also has a handful of festival performances scheduled for this summer. Those dates and the band’s upcoming European dates are all noted below.